Grow a variety of mouthwatering vegetables! Carrots, potatoes, tomatoes and more await your magic touch! Your farm is equipped with ropes and ladders so your workers can fetch water and take their harvest to the storehouse. 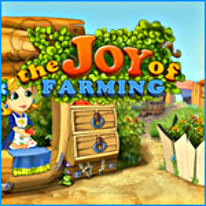 Help Joy turn a shabby homestead into the Farm of the Year as she grows a variety of mouthwatering vegetables and turns them into the products her customers want. Sign me up for Time to Play, a weekly email guide to what's new and trending on ArcadeTown. The email address you have entered is already associated with an ArcadeTown account. Please select a different email address.